Are you getting the most out of your Microsoft software? Designed and priced for small businesses with as many as 75 users, Windows Small Business Server 2011 Standard delivers enterprise-class server technology in an affordable, all-in-one network solution. Windows SBS 2011 Standard helps protect your business information from loss by performing automatic daily server backups, and includes Windows Server 2011 technologies, Exchange Server 2010, SharePoint 2010 Foundation, and Windows Server Update Services. If you count on Microsoft software to keep your business running smoothly, doesn't it make sense that you should know how to fully utilize that software? ProTech Data can show you how to get the most of out of your technology investments, at this year's April event, which will showcase the advantages of Windows 7 and Microsoft Small Business Server 2011. 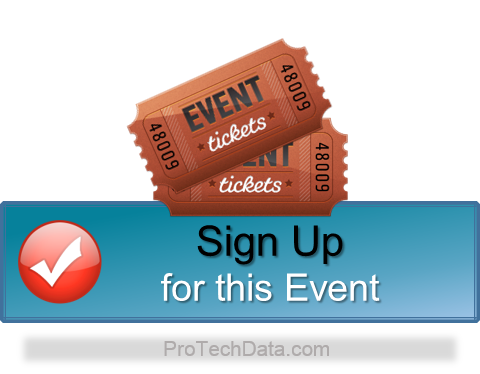 At this event, ProTech Data will show you how to do more with less - and, the first three people to RSVP and attend the event will automatically receive door prizes. ProTech Data is a small business consulting firm. We believe in an integrated approach to technology design and when you partner with us, you partner with a consultant that understands all aspects of your environment. Find out how to get a better return on your technology investments.